Maciel price per day from € 55 Located in picturesque seaside city of Peniche, Maciel is traditionally decorated with tiled walls and wooden furnishings. A buffet breakfast is served daily consisting of pastries, breads and coffee. The marina for a boat to the Ilha da Berlenga and Forte de Peniche are within a 5-minute walk away..
KateKero price per day from € 70 Offering sea views from all the rooms, KateKero is located in the seaside city of Peniche. Peniche Fortress is a 4-minute walk away and the boats to Ilha da Berlenga are 2 minutes’ walking. They all include a private bathroom with shower and free Wi-Fi, and some have a private balcony. SwordFish Eco-House Peniche Offering a central location in Peniche, Swordfish House Peniche offers a décor based on Upcycling. This eco-friendly unit organises surfing and diving activities. A fully equipped kitchen is available for guests’ use. The medieval Óbidos village is 20 km away from Swordfish House Peniche, and Óbidos Lagoon is 26 km away..
Alojamento S. João price per day from € 20 Located in the heart of Peniche, stylish Alojamento S. The Atlantic beaches and Berlenga Nature Reserve are within a 5-minute walk of the guest house. Each room has a private bathroom with a bathtub and free toiletries. Municipal Museum and Peniche Fort is a 5-minute walk away..
Residencial Popular price per day from € 35 The Peniche centre is a 4-minute drive from this guest house. 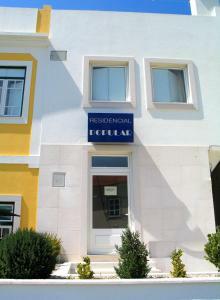 Residencial Popular is a 15-minute walk from Peniche’s beaches, a renowned surfing destination. Some of these heated units also include a refrigerator and views over the Ocean. 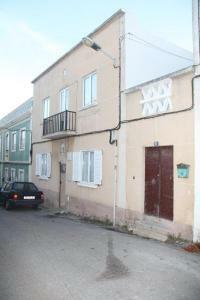 Predio De Marmorite price per day from € 35 Predio De Marmorite is located in the Peniche centre and comes with a furnished rooftop terrace. The Peniche Fort is a 3-minute walk while the harbour is 600 metres away. The nearby Peniche centre has various restaurants, most serving the region’s traditional fish dishes. Apartamentos Cais das Descobertas price per day from € 60 Located in the main avenue of the coastal town of Peniche, Apartmentos Cais das Descobertas is just a few minutes’ walk from the marina, the historical Fort and 1 Featuring free WiFi is all areas, accessible by stairs, these apartments offer a panoramic view of sea and include 2 bedrooms. The private bathroom has a walk-in shower, free toiletries and a bidet. 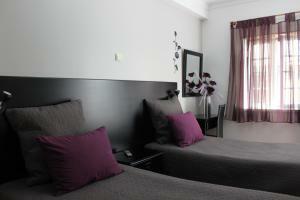 Soul Surfer The Soul Surfer is a 2-bedroom apartment located in Peniche old town, a 4-minute walk from Peniche Fort. It offers free WiFi access and a balcony with city views. There are 2 twin rooms, and the bathroom comes with a shower. 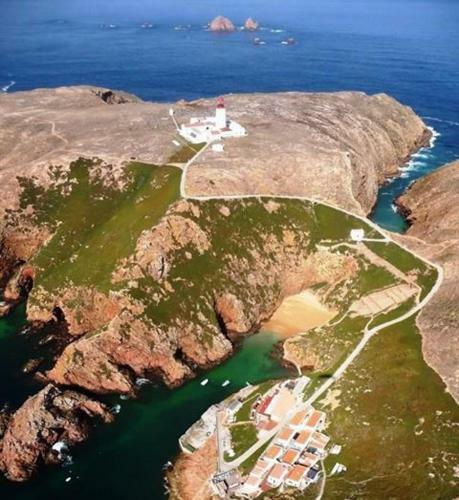 The beach is around 20 minutes’ walking, and the ferry to Berlengas Island is less than 5 minutes’ walking..
Apartamento na Cidade do Surf Located in Peniche, Apartamento na Cidade do Surf offers a restaurant and a tennis court. Accommodation will provide you with a TV and a patio. At Apartamento na Cidade do Surf you will find barbecue facilities and a bar. 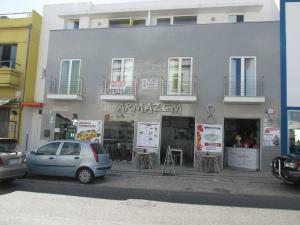 D. Antonia price per day from € 55 Antonia is a guest house located in the old town centre of Peniche. Guess can experiment the various fresh fish specialities and the gastronomy of the region. 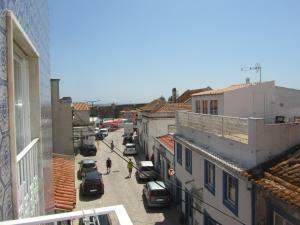 Baleal and Supertubos are well-known for their perfect conditions..
Town of Baleal (~3.9 km). 16+ villas/holiday houses ! Town of Estrada (~5.1 km). 13+ apartments ! Town of Atouguia Da Baleia (~5.1 km). 9+ villas/holiday houses ! Town of Ferrel (~5.6 km). 77+ accommodation units ! Town of Casais Brancos (~7.4 km). 2+ villas/holiday houses !